As a child, I could never wait for my birthday. Not because I got a birthday cake or because my parents threw me a party, but because I got a key to open up the castle at the local toy store. It was a magical experience twisting that key and walking into the castle to pick out a free toy for my birthday. 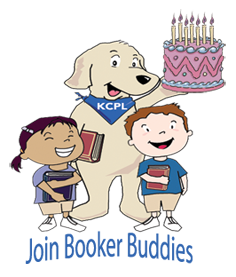 At the library, we’ve designed a birthday program just for kids so that they can pick out a special treat for their birthday. We don’t have a castle, but we have a giant dog bone filled with prizes just waiting for birthday boys and girls! Sign up any time! Just stop by the Children’s Desk at any of our locations for an application. Children ages 0-12 are eligible for the club. Children will receive a birthday card during the month of their birthday. They can bring in their card to pick out a cool prize, like a glow-in-the-dark cup! 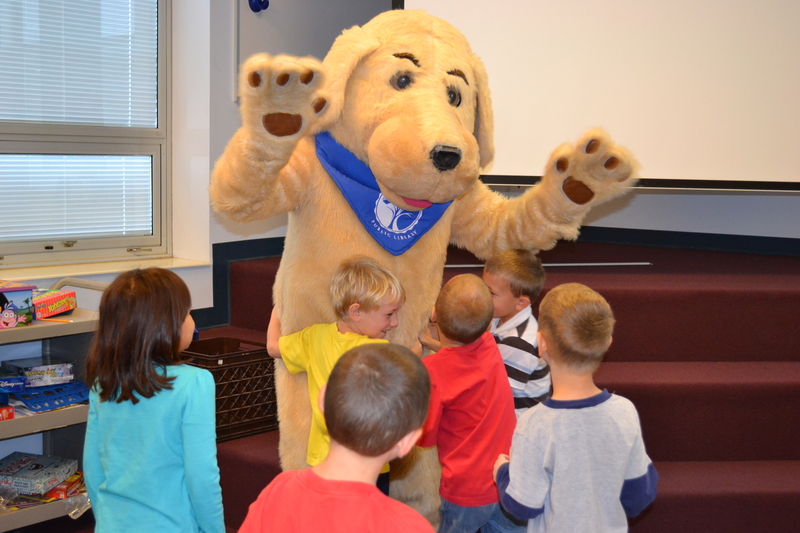 In April, you’ll be invited to our Booker Bash, a special birthday party for our mascot, Booker, and all of his buddies! Check out Visit Booker’s website for coloring sheets and more fun! 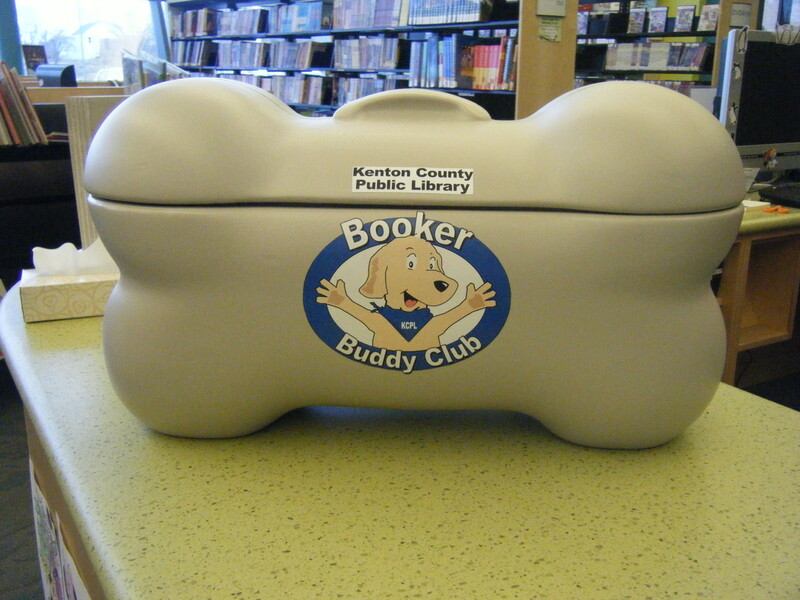 Members are invited to join us on April 18 at 7:00 PM at the Durr branch in Independence or April 19 at 6:30 p.m. at the Erlanger Branch to celebrate Booker’s birthday! We’ll have a visit from Wild Thing, from Maurice Sendak’s popular book Where the Wild Things Are. There will be plenty of birthday festivities, snacks, and fun. Don’t forget to bring your camera to snap a shot with Booker and Wild Thing! Click here to register. Not signed up? What are you waiting for?! Give us a call, stop by, or go online to fill out an application today! And as an added bonus, we have a giveaway for you! We have a Joel the Singing Librarian CD for one lucky winner! You can enter several ways. The more ways you enter, the more chances you have to win. Enter by noon on Monday, March 25. We will randomly choose a winner who will be announced on our Facebook page and emailed. 1. Comment on this post saying why you want the CD (required to enter). Disclaimer: Joel the Singing Librarian donated the CD to give away to one lucky winner. The winner must pick the CD up the Covington, Durr, or Erlanger Branch Library. Library employees and those living in their household are not eligibile to win.